What’s the cost of solar today? Well, it depends a great deal on where exactly you are located, but no matter where you’re located, I’d bet that most of you have a cost of solar in your head that’s 2–100 times greater than the actual cost of solar power. Read on for an explanation. 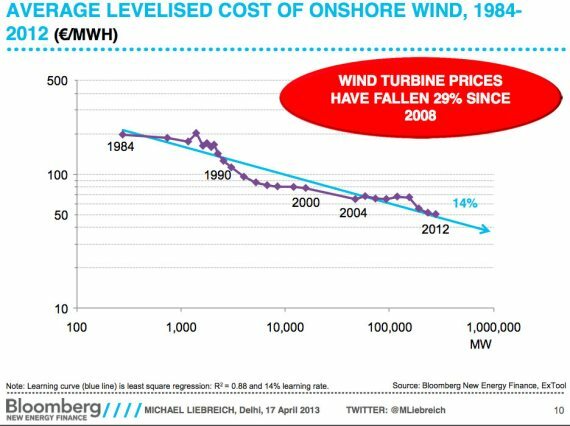 In a related manner, something I’ve learned in my several years reading and writing about clean energy is that most people have a price of solar power or price of wind power in their heads that is at least a few years old, sometimes even many years old — well, if they have any guess about the price at all. Yep, if you have a 1977 price of solar panels stuck in your head, you think solar panels are 100 times more expensive than they actually are. If you have a year 2000 price of solar panels stuck in your head, you think they’re about twice as expensive as they actually are. 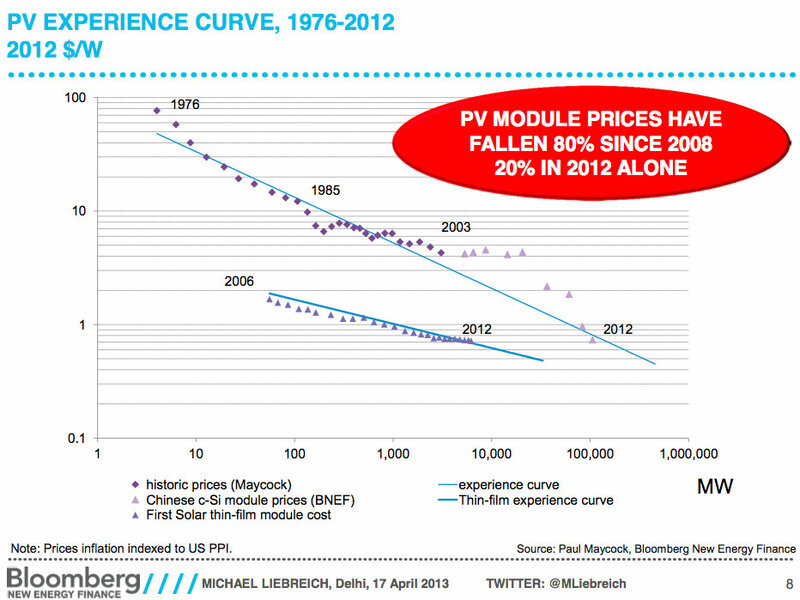 Even if you have a 2008 price of solar panels stuck in your head, that’s about 80% too high. 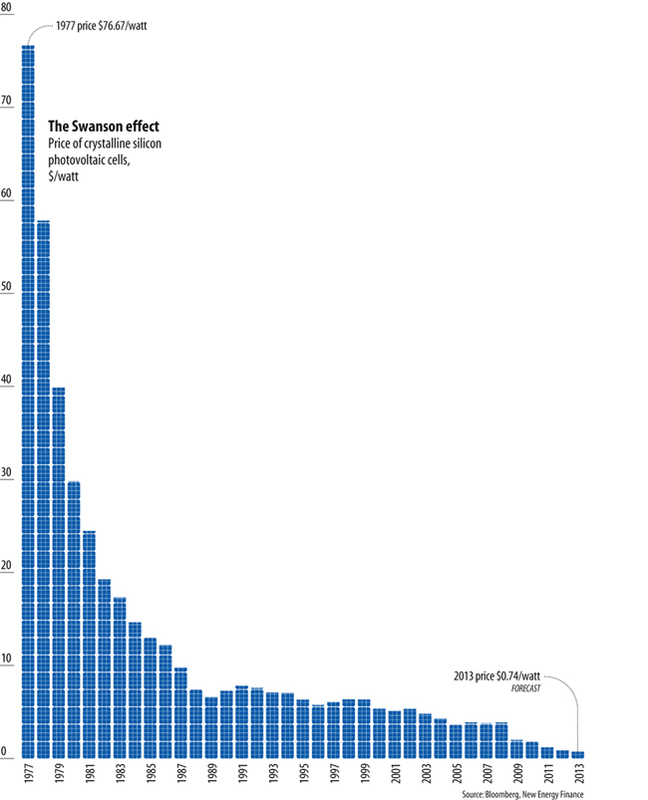 And, actually, even if you have an early 2012 price of solar panels in your head, that’s about 20% too high! Did you get a solar quote back in 2008? If so, it’s probably quite a bit higher than it would be today. Maybe it’s time to check again? But while we’re at it, let’s not forget the political and media coverage. Either through simple lack of awareness, or something more nefarious, many politicians and members of the media repeatedly assert that solar power is “so expensive.” They’ve got outdated information in their heads. Don’t listen to them. Check the numbers for yourself. And, very importantly, share this information with your friends and family so that they are not tricked by outdated information and misinformed media professionals and politicians. I think the points above are quite interesting and informative. But there’s a lot more to say about the cost of solar. 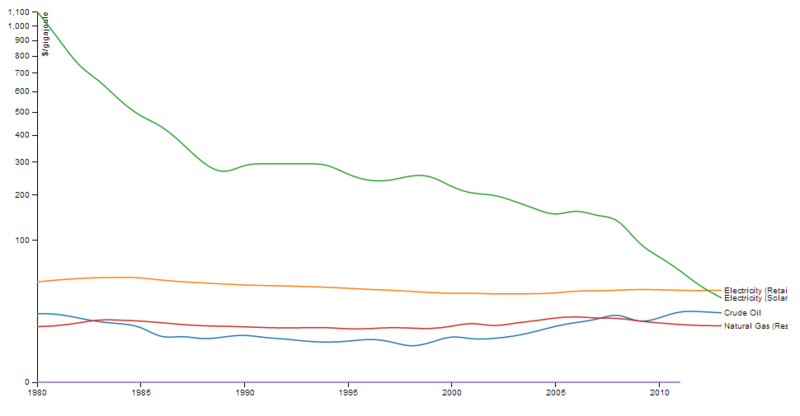 Stay tuned to our site (Cost of Solar), as we’ll be delving into that much more in the days and weeks to come.